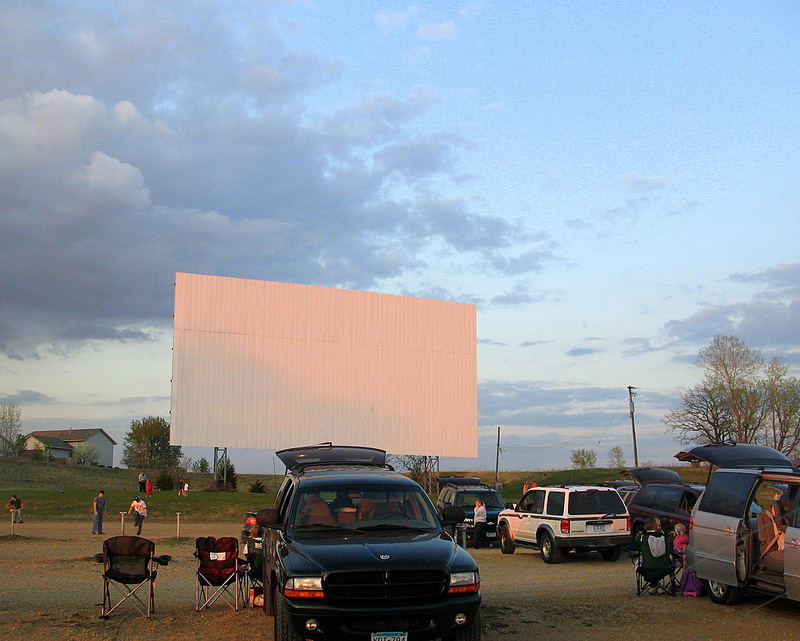 Made a visit to Cottage View Drive-In located off of Highway 61 in Cottage Grove. We made it there a few weeks ago on their second open weekend of the season. The sun was setting and turned the white screen a shade of orange. I completely missed the sunset, which has quite a vantage point from where the drive-in is located. I guess I was too busy people watching at the time and talking with my wife and family to notice. Currently they are playing Spiderman 3, with Shrek the Third coming out on Friday, we are hoping they will be changing to it Shrek so we can bring the family to another show. One of my first couple daily photos featured the Cottage View drive in from outside the gate back in April 25, 2006. Takes me back!! I have some hilarious stories about drive-ins during my high school years. Thanks for the info since grand-kids will be here next week-end. Sounds like a good plan!! Although we've driven past this landmark several times, we've never watched a film here.